It's time to cure your post-Ash Vs. Evil Dead blues. Everyone's favorite deadite slayer is coming home to fight soul swallowers in an all-new 4K release this December! 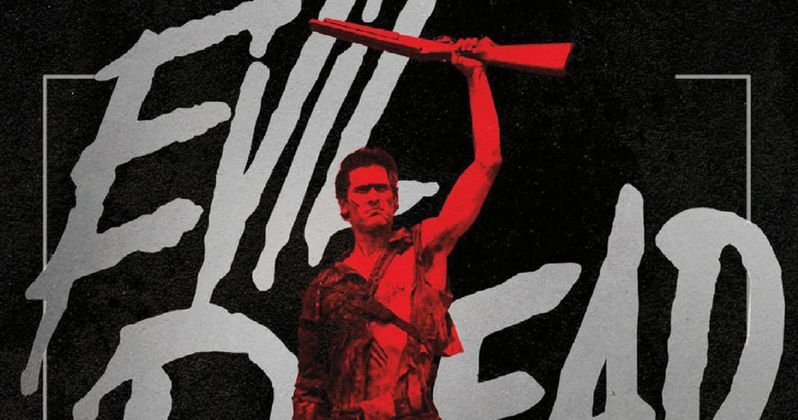 Ash Williams is back in the 80s horror classic, Evil Dead 2}, with a brand new behind-the-scenes featurette and more. You'll be Dead by Dawn, we promise. Ash returns in one of horror's greatest sequels when Evil Dead 2 arrives on 4K Ultra HD™ Combo Pack (plus Blu-ray™ and Digital) December 11 from Lionsgate. Written and directed by Sam Raimi (Spider-Man, Army of Darkness), and starring Bruce Campbell in the role that cemented his place in horror history, Ash Williams must, once again, battle the deranged dead after returning to the same cabin from The Evil Dead and unleashing Hell on Earth. Experience four times the resolution of Full HD with the 4K Ultra HD Combo Pack, which includes Dolby Vision™ HDR™, bringing the stunning cinematography of this supernatural horror film to life. When compared to a standard picture, Dolby Vision can deliver spectacular colors never before seen on a screen, highlights that are up to 40 times brighter, and blacks that are 10 times darker. Available for the very first time in this absolutely stunning format, the Evil Dead 2 4K Ultra HD Combo Pack will include a brand new, never-before-seen 52 minute featurette, "Bloody and Groovy, Baby! - A Tribute to Sam Raimi's Evil Dead II" featurette and will be available for the suggested retail price of $22.99. Ash, the sole survivor of The Evil Dead, returns to the same cabin in the woods and again unleashes the dead. With his girlfriend possessed and his body parts running amok, Ash must again single-handedly battle the damned in this unhinged horror classic!